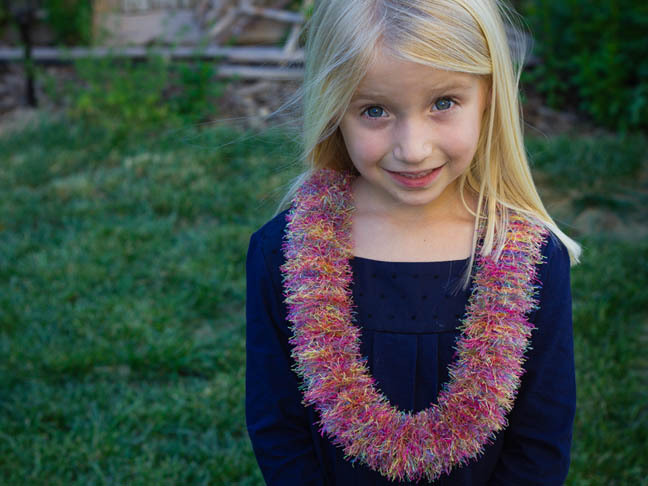 Whenever there’s a celebratory event, my favorite gift to give is a Hawaiian lei. 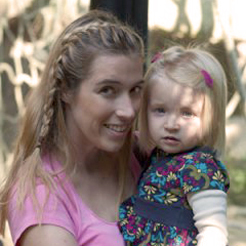 It combines the gift of flowers with the extra magic and beauty of being able to wear them all day while you celebrate. 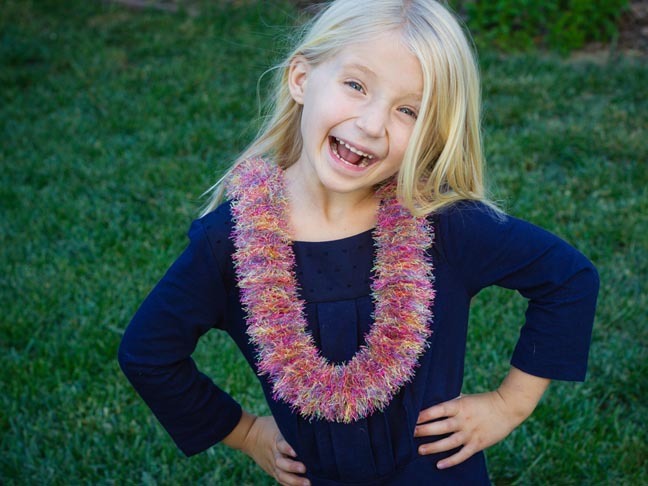 But if you’d like to create a DIY Hawaiian lei that will last long past a birthday or graduation celebration, here’s an incredibly simple DIY that will create a keepsake lei for that special person in your life! 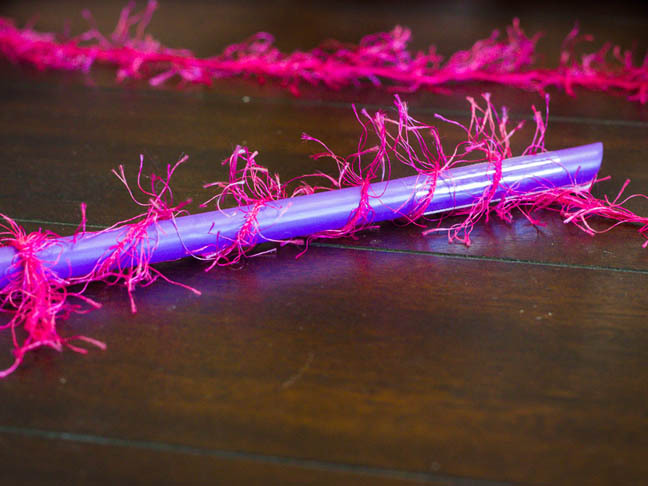 Step 1: Cut a 48″ length of ribbon and thread it through your straw. Allow 2″ of excess on the other side, and securely tape it to the straw. 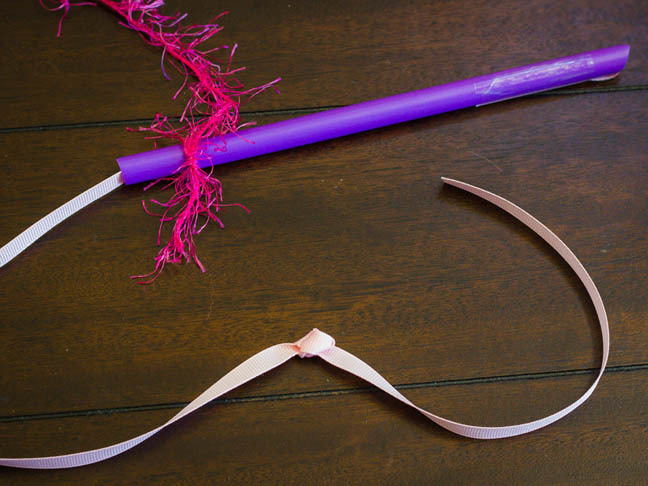 Step 2: Secure your yarn to the bottom of your straw with a simple knot and 1″ tail. Tie a strong double knot about 12″ from the end of the ribbon. 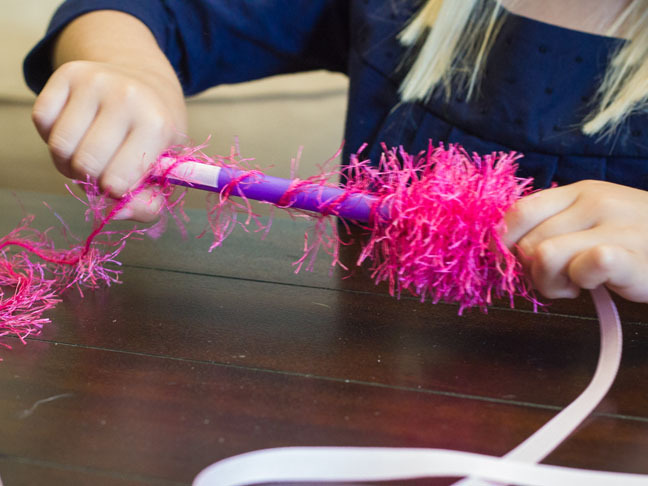 Step 3: With the straw in one hand, begin wrapping the yarn in loops around the straw in the same direction. 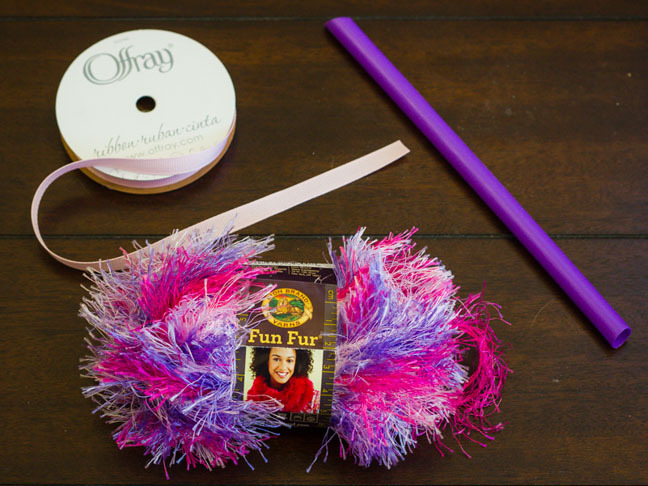 Step 4: After filling your straw with yarn, push it down toward the bottom of the straw and on to the yarn. Continue to wrap and push until you have either used all of your yarn or you have it as long and full as you’d like it. 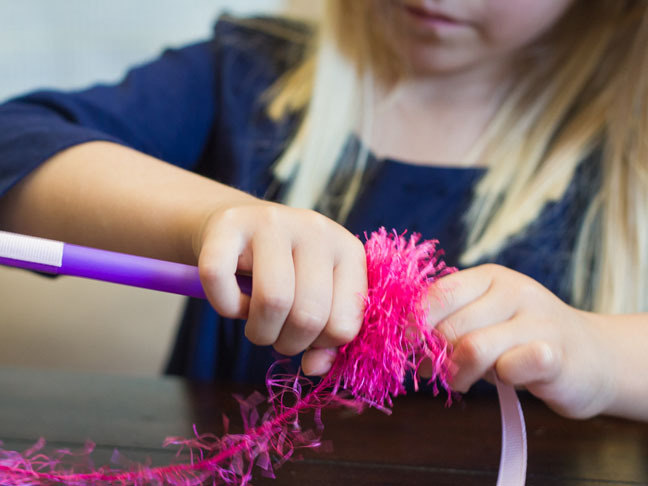 Step 5: Secure your yarn by tying a final knot with the yarn around the ribbon, and remove the tape on the straw and tie a knot. 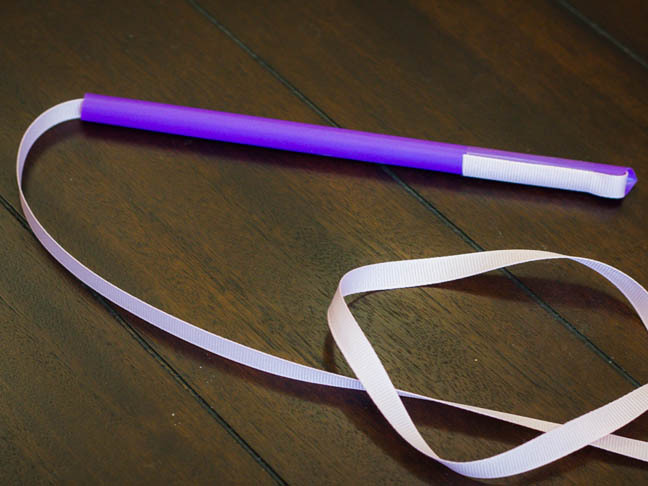 You can add large beads to the end (be sure the holes are large enough to thread the ribbon through) to secure the ends. 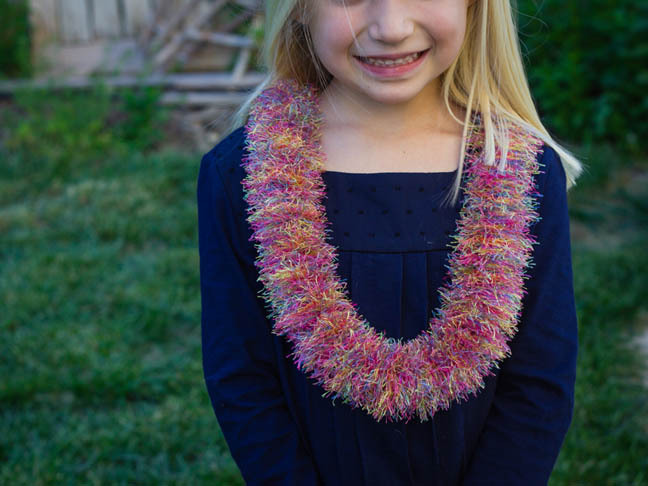 Step 6: Tie the ends together and place the lei on your loved one!